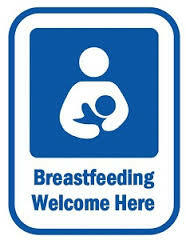 To ensure that our community has access to healthy food, The Durham Co-op Market has placed the “Breastfeeding Welcome Here” logo in the store to create a respectful environment for all breastfeeding patrons. The co-op has committed to providing an environment where patrons are welcome to breastfeed and enjoy a friendly attitude from staff, management and other patrons while breastfeeding. Staff and concerned customers will be informed that breastfeeding in public is protected by North Carolina law (GS_14-190.9) and that this business welcomes breastfeeding patrons. The Durham Co-op Market also supports breastfeeding employees by offering break times as needed for the staff person to express milk for their baby for up to one (1) year after the child’s birth. Employees will be accommodated with a private (non-restroom) area as necessary.